Run in the second smallest and the most densely most populated country in the world! 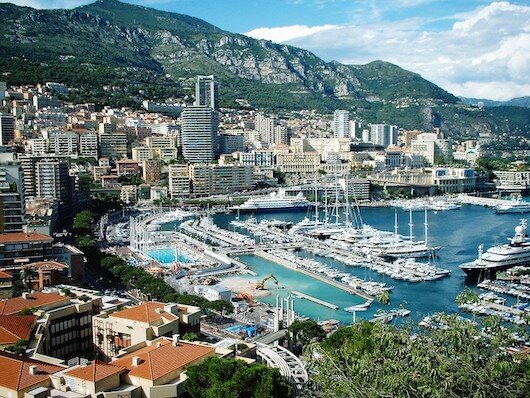 Monaco, and its prosperous quartier Monte-Carlo’s scenery, gambling facilities, and place as a banking and conference center have contributed to the area’s status as a tourist, recreation, and business destination for the rich. France borders on three sides and the water on the other. Running in the Monaco-Monte Carlo is a mix of scenic, touristy, and busy — but worth it. It’s also really hilly! 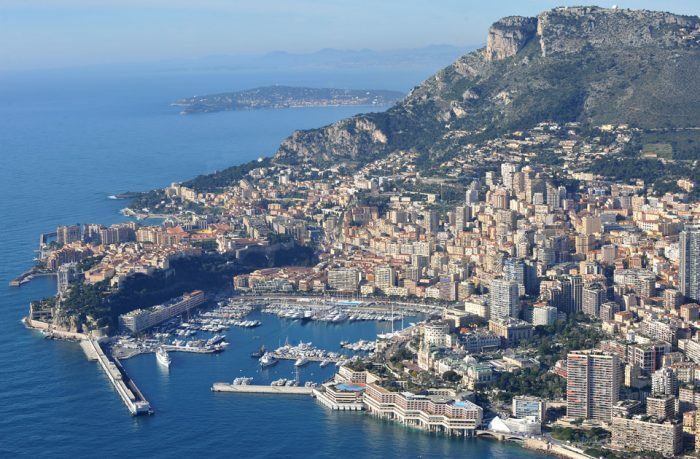 We’ve plotted a running tour of Monaco and Monte-Carlo, between the Hotel Monte-Carlo and the center of Monaco in Quartier du Port. It’s a little over 5 miles (9 km) out and back. The route is a mix of waterfront promenades, using some of the main streets as connectors. From the hotel, run west along the Prom. du Larvotto, past the Japanese Gardens. 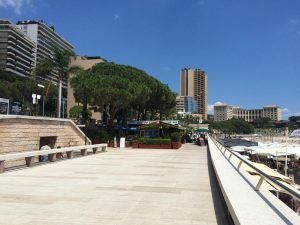 You’ll then have to navigate around the busy roads around the Monte-Carlo Casino to get back onto the Quai des Etats-Unies, and then a jaunt around the Port Hercule and the old center of Monaco. You’ll tour the open air theater at Fort Antoine, Oceanarium, Monaco Cathedral, and the Prince’s Palace. Then turn back east, following most of the same route back, though we vary it a bit by including a couple of road sections along Avenue d’Ostende, and the Avenue des Spélugues around the Opera. There’s some opportunity to vary the route by taking some different roads, though note that some have better sidewalks/shoulders than others. The area in general is dense and traffic-ey, and has a complex geography.